Halo believes that staying close to the ways of nature and eliminating harsh chemicals from a pet’s diet and environment can produce miraculous changes in the lives of many pets. 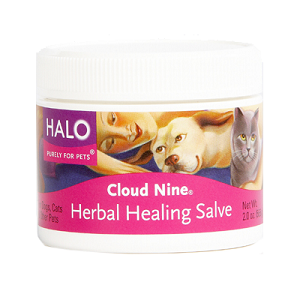 Halo’s complete line of herbal grooming supplies for dogs and cats gives you a gentle, all-natural way to keep your pet looking and feeling his or her best. We use only safe, soothing herbal oils and extracts, vitamins and minerals — similar to those in products we use on ourselves — in our products.